Syfy’s latest original series Z Nation, a co-production with The Asylum, is only three episodes into its first season, but it’s already been a ridiculous and surprisingly enjoyable romp, like a less pretentious (and less sensible) version of The Walking Dead. 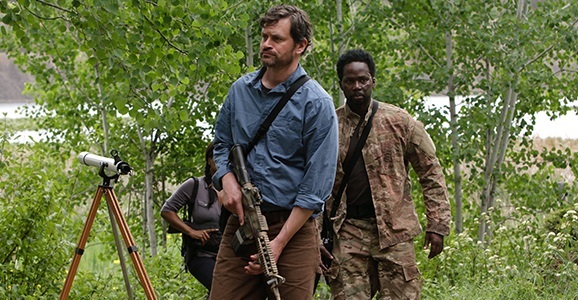 Tom Everett Scott leads a group of survivors who are going from one end of the country to the other in order to transport cargo that could possibly turn the zombie virus around and save humanity. That cargo happens to be a guy. For whatever reason, Hulu is only making this show available to subscribers who also have the proper TV provider, so DirecTV users like myself get shafted.